My employer, Red Gate Software, offers a sabbatical to their employees, and this year I'm taking mine. I'll be gone from June 2 - July 14, away from work, but I'll be blogging here about my experience. A few years ago I was on vacation with my wife and a few other couples. One night at dinner, one of the other couples posed this question: what would you do if you won the lottery and never had to work again? There were various answers from the people at the table. When my turn came, the first thing that came to my mind was working full time for Habitat for Humanity. I’d consider other charities, but the things that speak to me are food, shelter, and education. 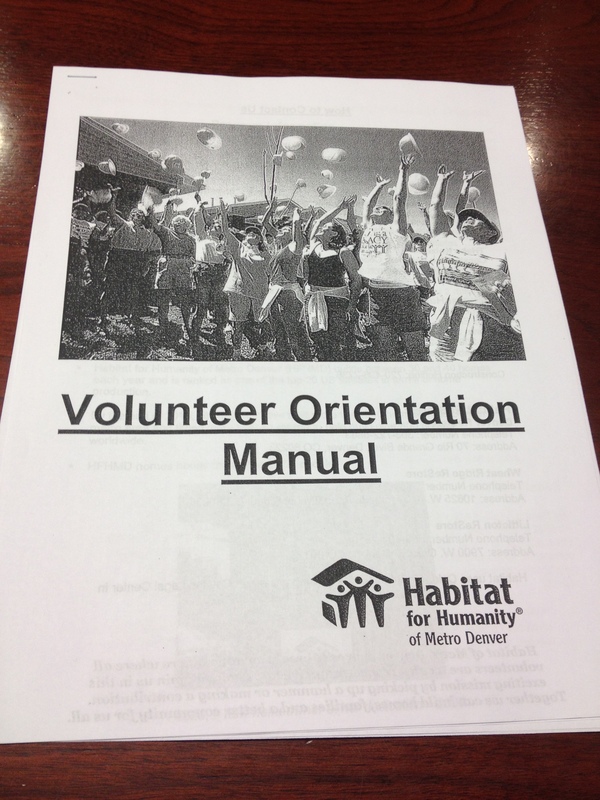 One of my sabbatical decisions was the volunteer for Habitat of Denver, and I began that journey by attending a volunteer orientation and filling out paperwork. In a few days my name should be in their database and I’ll be able to start signing up for shirts at builds and the ReStores that Habitat runs. I’m looking forward to getting a few shifts a week at their stores, and I’m hoping I can help them fulfill their mission. I do believe strongly that we all should volunteer and give back to society in our lives It’s at a time and place of your choosing, when it works for you. You might have done it in the past, you might do it now, or maybe it will be something that you do when you retire from technology, but I hope you consider sharing of yourself and helping the world at some point. However choose those things that speak to you. Things that mean something to you and which will benefit others.